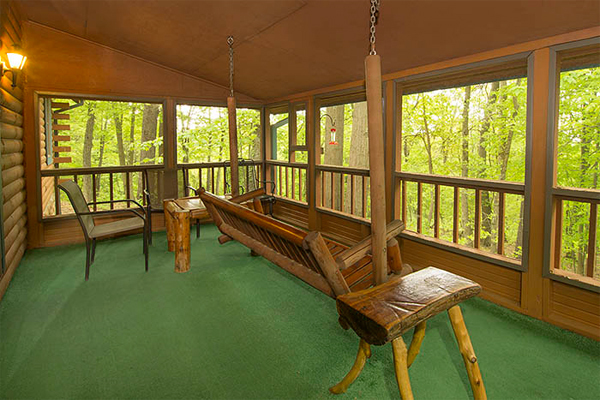 Hummingbird Cabin in Hocking Hills. 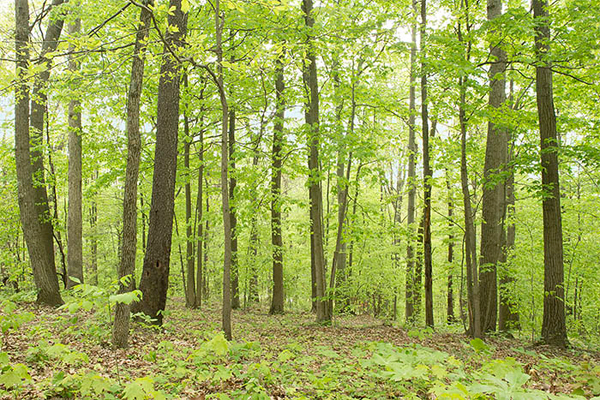 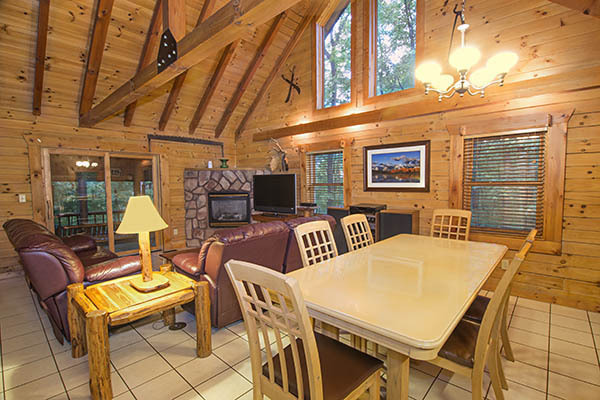 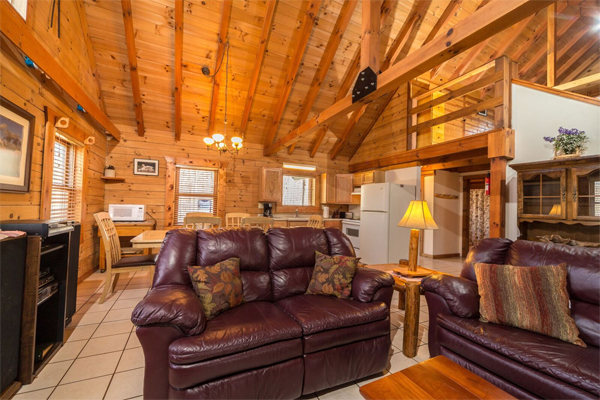 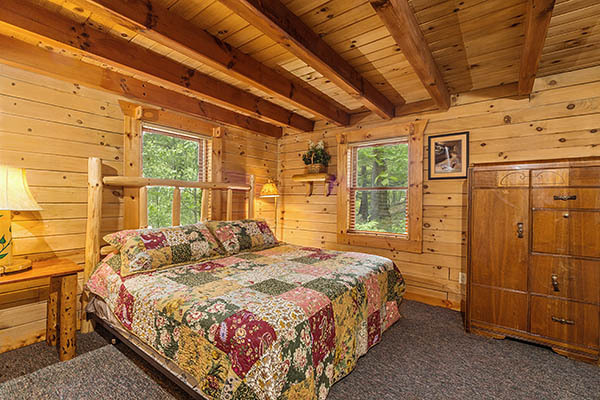 Cozy and comfortable, this Hocking Hills log cabin is located on the lush forest with hiking trails. 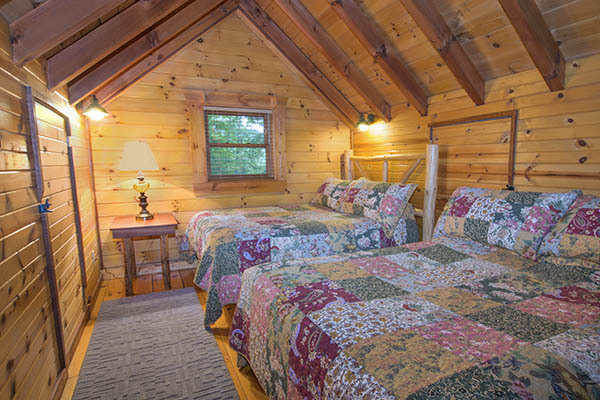 It is overlooking the beautiful Hocking Valley. 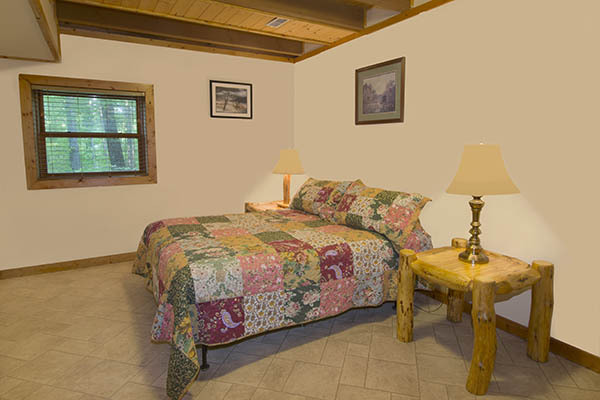 Plenty of wildlife making the property at Hummingbird Hills Cabins home. 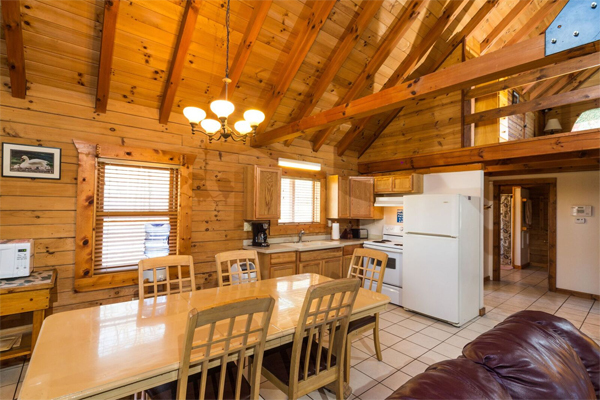 This cabin has a beamed cathedral ceiling in the great room, lots of windows, a stone gas fireplace, central air conditioning and gas heat. 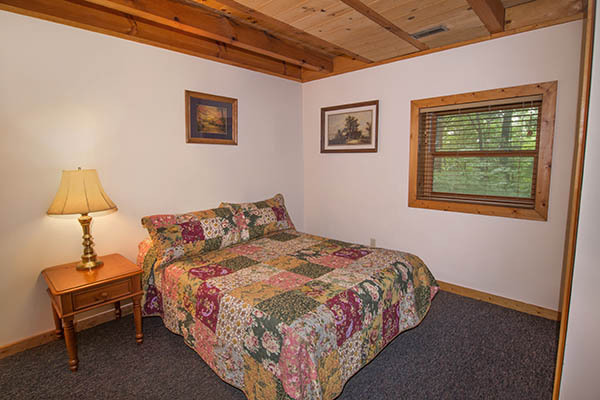 There are four bedrooms and an elevated, screened porch. 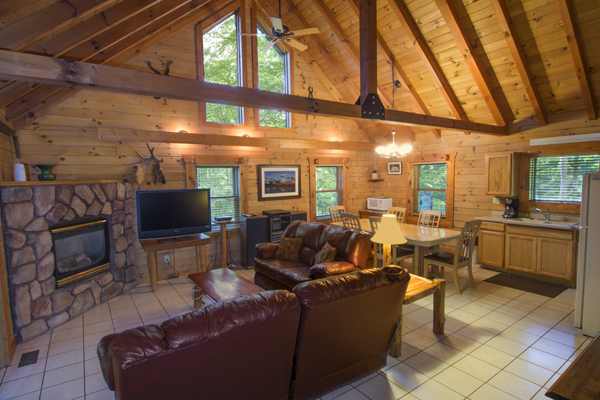 Guests can enjoy such extras as DIRECTV, and a stereo system. 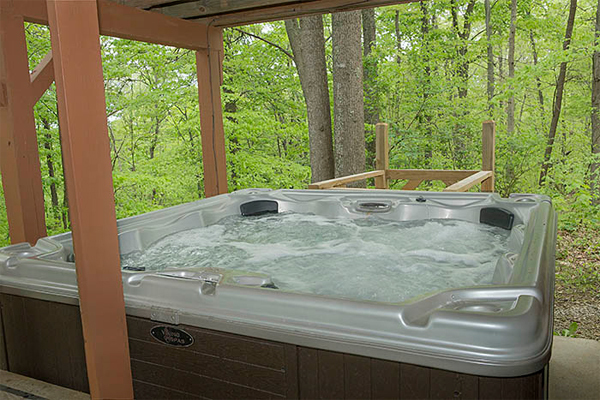 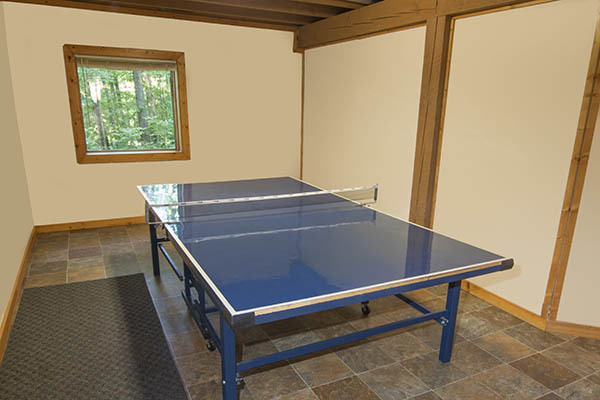 The kitchen is fully equipped, and there are two full baths, large outdoor hot tub, ping pong table in the recreation room, campfire ring, and an elevated screened porch overlooking the wooded hillside.